Fafco Solar’s Naples Botanical Garden Photovoltaic System was chosen as the Array of the Week by Enphase Energy, manufacturer of the Enphase microinverter. 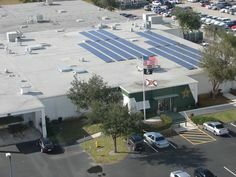 Information on this accolade can be found at this link: http://community.enphaseenergy.com/enphase_energy_community/topics/array_of_the_week_fafco_solar I am proud to have been Project Manager on this job, which was completed on budget and ahead of schedule. 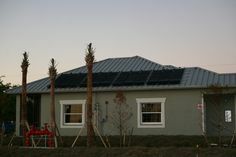 Our team of professional solar installers did amazing work on this great looking solar energy system. Installed at Florida Gulf Coast University owned Naples Botanical Garden, this system will put a nice dent into the facility’s operating costs. It was eligible for an FPL utility rebate, further reducing the installed cost. Did you know that it’s easy to get SouthwestFloridaSolar delivered to your email inbox whenever a new news article is published? Just use the following link: http://feedburner.google.com/fb/a/mailverify?uri=Solar-Southwest-Florida&loc=en_US Note: SouthwestFloridaSolar will not know your email address and will not send you any email. This is a service provided by Feedburner, which is owned by Google. You can also subscribe via RSS or connect with SolarSouthwestFlorida using the buttons in the Follow My Blog section on the right. I have just been informed that the next round of FPL funding for solar rebates will start on October 25. The first time around, reservations were exhausted in under 15 minutes. 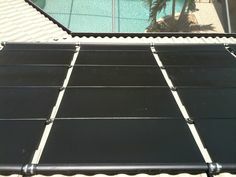 It is urgent that you contact your solar dealer NOW if you want to take advantage. This is the opportunity of a lifetime! Today I accepted the award for Green Company of the Year on behalf of my employer at the Southwest Florida Green Futures event at the Charlotte County Convention Center. Come see our booth and learn what we are doing to advance solar energy in Southwest Florida!